A digital teaching resource for nurturing, equipping and guiding secondary students in their understanding of the Christian faith. A Think Faith subscription gives you access to all the Think Faith resources. Pricing is based on the number of students being taught. Multiple teachers working together in the one school can share the same subscription. Think Faith is available through calendar year subscription. 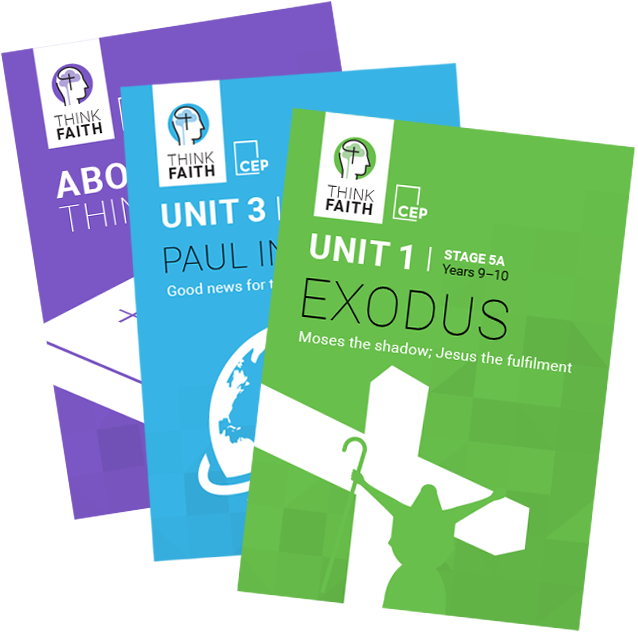 Think Faith is organised into units of work for students in stages 4 and 5 (years 7-10) of secondary school. Each unit contains all the teaching resources necessary for providing engaging and challenging learning opportunities for students. Think Faith is developed to help students learn at a deep level. Students are encouraged to ask questions, and participate in classroom and small group discussions and activities. Worksheets in Think Faith help student engage by scaffolding and consolidating learning. They provide an opportunity for students to articulate their personal views and reflections on what they have learned. Curriculum – Think Faith is based on a six year curriculum that is built around four units of work per year. These units are guided by a set of essential questions that aim to engage students and encourage them to think, reconsider and act upon what they are learning beyond the classroom. 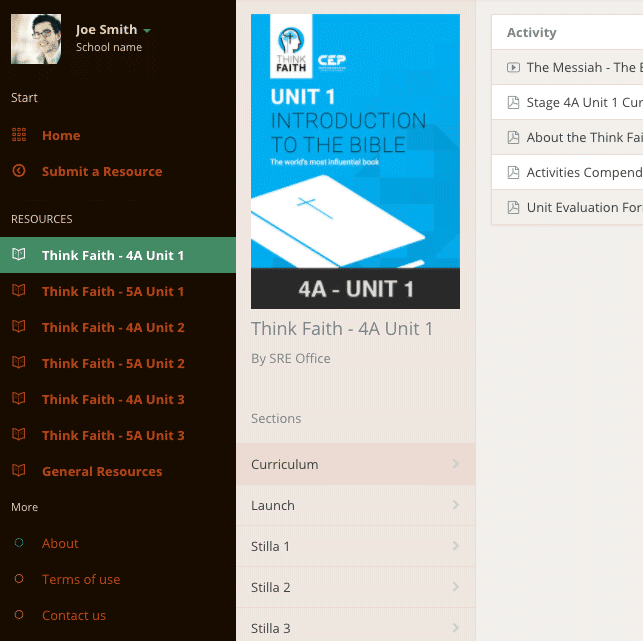 Educational – Think Faith utilises contemporary educational theory and provides a platform for quality teaching and learning that encourages students to use higher order thinking in their lessons. Bible based – The Bible is the foundation of all lessons in Think Faith. Think Faith teaches the major events, concepts and doctrines of the Bible. Contextual – Think Faith is designed so that teachers can adapt the resources to their particular context. This makes Think Faith an excellent resources for all teachers regardless of their individual context. Approved – All SRE teachers in New South Wales must use an approved curriculum. Think Faith has been approved for use by numerous SRE Providers. Collaborative – Think Faith has been written in collaboration with a team of experienced teachers from diverse contexts. In addition, teachers are encouraged to share their resources on the Think Faith online library. Submit additional multimedia resources to use with Think Faith. If you have a video, song, or online resource that you feel would be good to use with Think Faith then submit it for approval. Subscribers receive access to additional multimedia resources to use with Think Faith. Submitted by other subscribers the library gives you access to great ideas from a huge network of teachers. Download the latest Think Faith resources. All the Think Faith resources can be found in one place. Including new resources as they become available. Download any updates to the Think Faith resources. Think Faith subscribers are invited to provide feedback from their experience using the Think Faith resources. The feedback will be used as part of an ongoing commitment to refine and refresh the resources as needed.